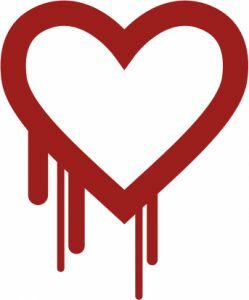 This month, the Heartbleed bug is all over the news. In short, it’s a security flaw that leaves a large percentage of the world’s Internet servers susceptible to hackers. While in theory it doesn’t pose any risks with the data on your personal computer, it still is a major concern because it potentially leaves a large number of user names and passwords exposed to the bad guys. While these user names and passwords might be on sites where a stolen identity may be on the “no harm no foul” side of the ledger (www.sobe.com, for example), these same user name/password combinations MAY be the same on sites (such as online banking) where you certainly don’t want any unauthorized access. While companies out there in cyberspace are scrambling to get these security holes patched up, you can help yourself by changing your passwords to most (if not all) of the sites you visit. That can be a tedious process, and although there are apps that can help automate things, it’s best to do it only AFTER you’ve checked if the site has been upgraded to eliminate the security breach. A good resource to check if a site has been repaired its Qualys SSL Labs. Another great resource for is an e-book titled “12 Quick Tips for Creating, Recording & Remembering Your Computer Names & Passwords” written by yours truly. It’s available from Amazon. You can read it on the iPad if you have the Kindle App installed. It’s also available from Apple’s iBooks Store. If you don’t already have it, you can download the iBooks app from Apple’s App Store for free.